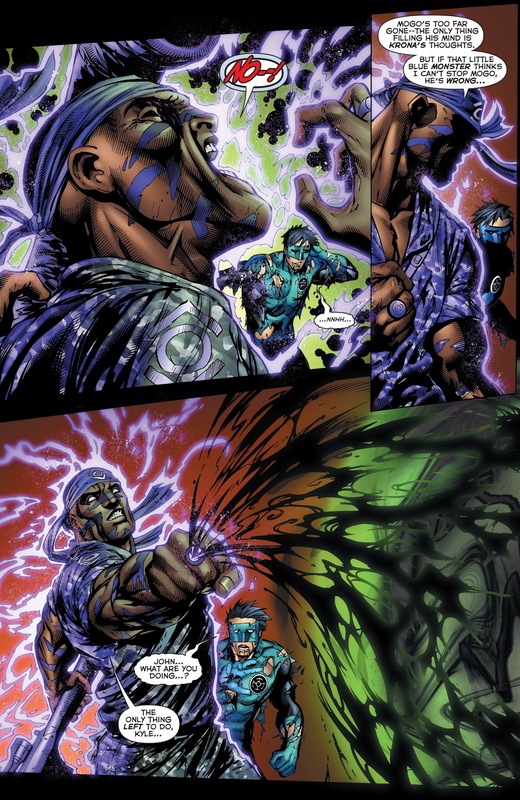 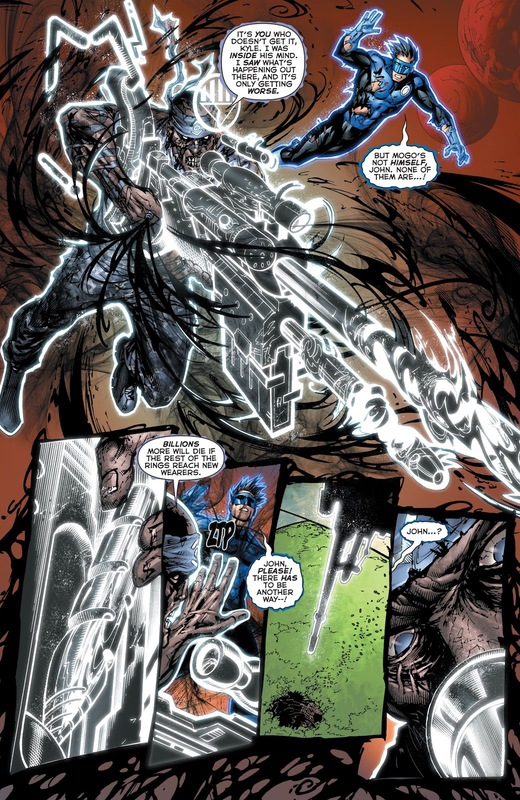 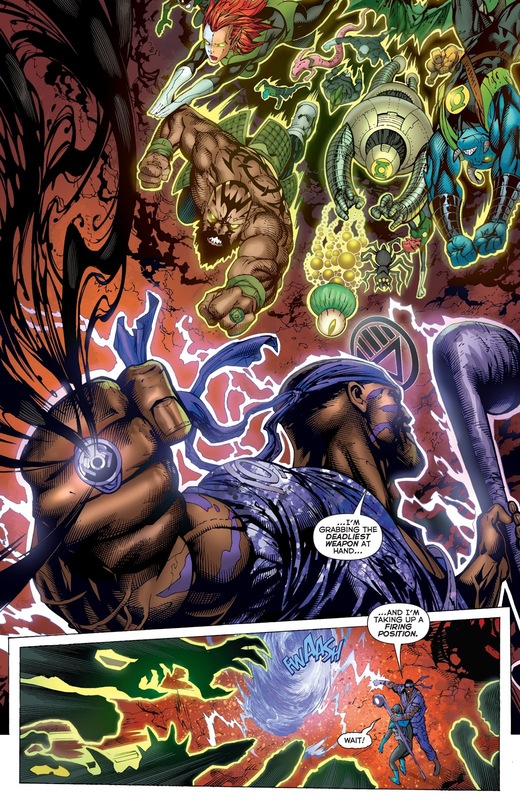 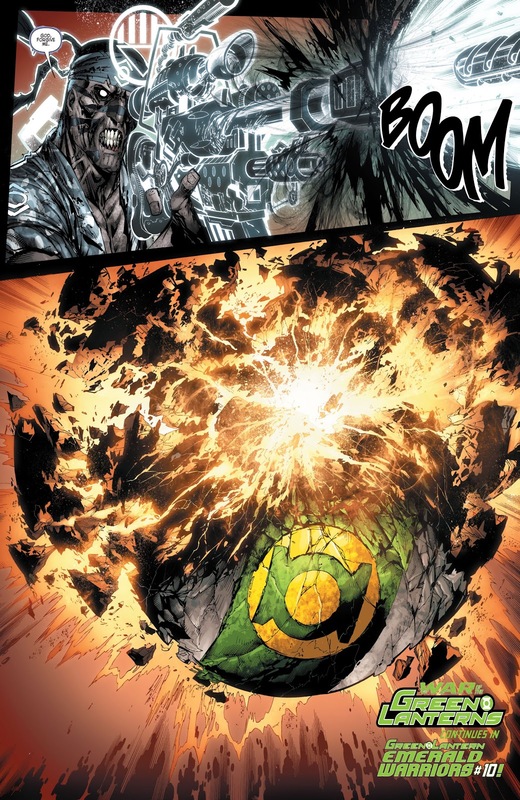 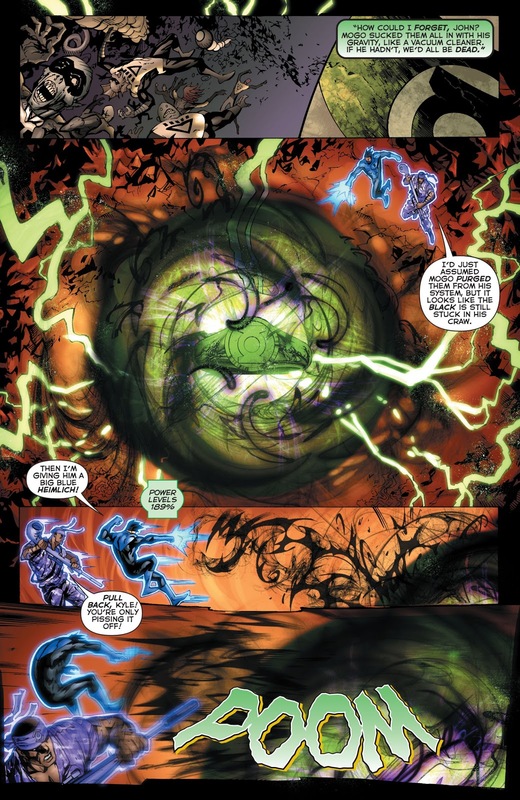 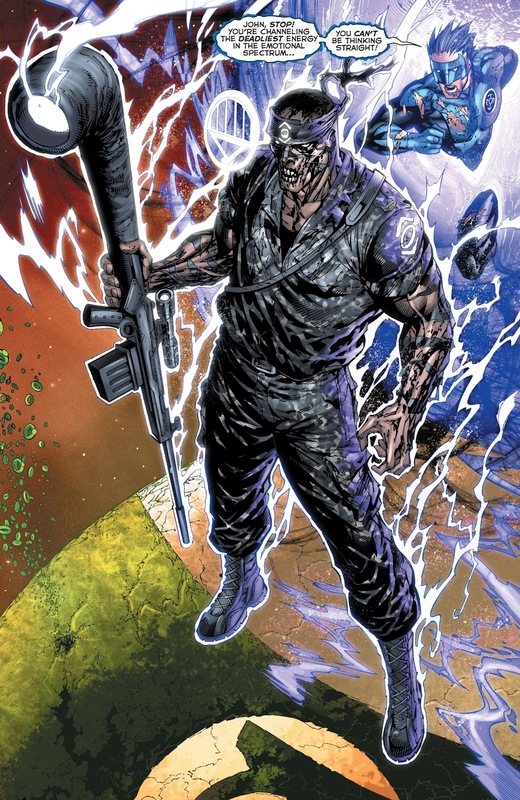 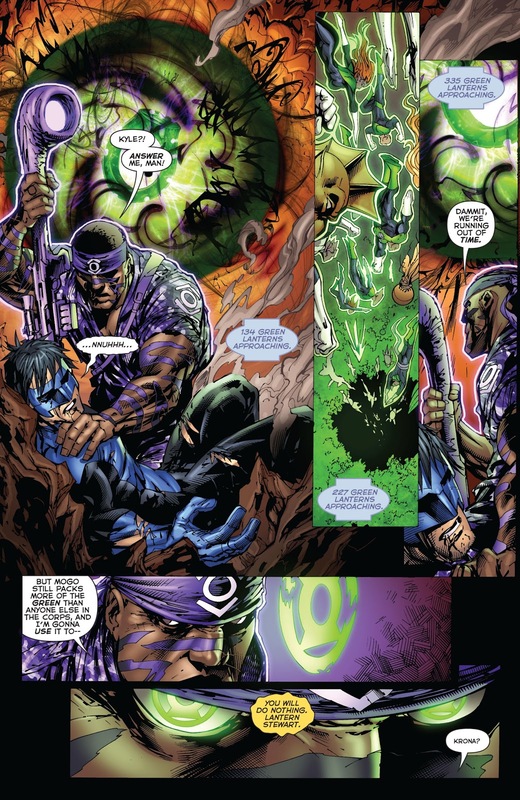 John Stewart, wearing an Indigo ring, channels the Black Lantern energy within Mogo’s core and kills him with it. 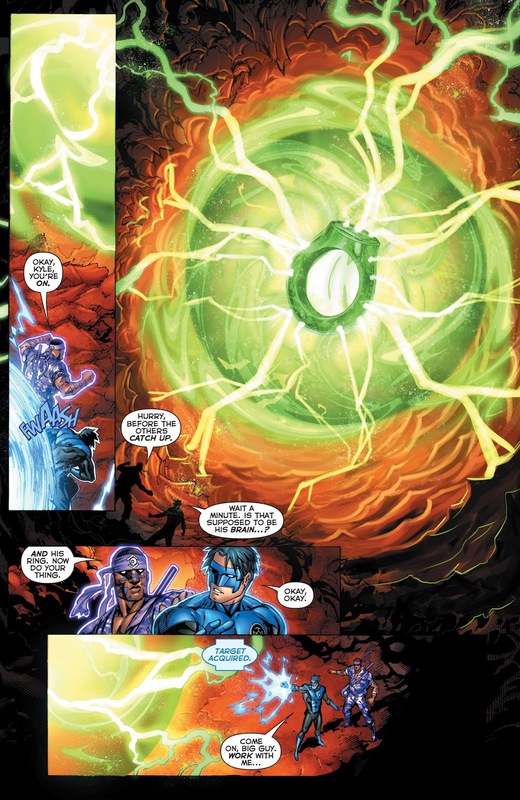 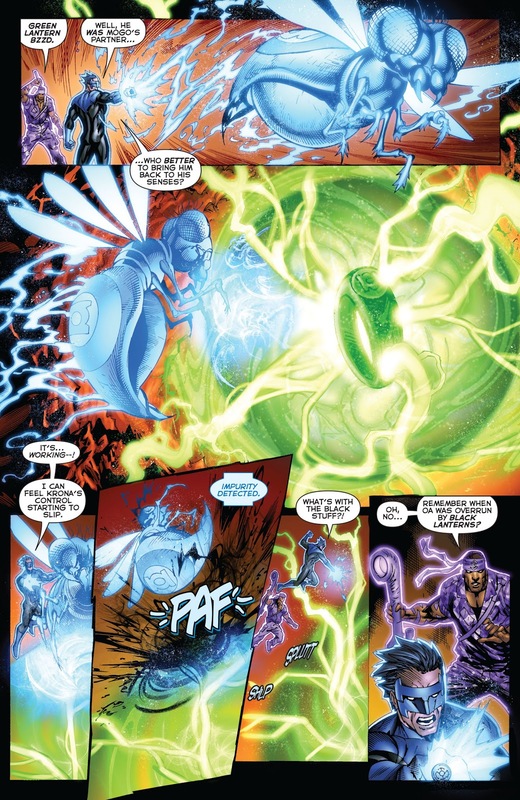 I get his reasoning that the longer the mind-controlled Mogo continues to send out Green Lantern rings, the larger Krona’s mind-controlled army gets. 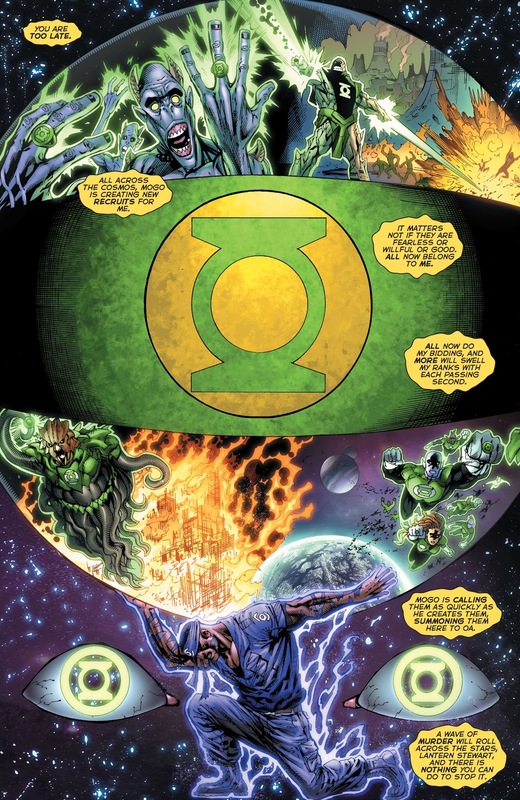 The tragedy here is aside from Mogo’s death, it’s the 2nd planet that’s destroyed due to John Stewart, the first being Xanshi.